You can see my other Out To Work posts here. I love this mother-daughter shoot, and your shoes are really pretty! 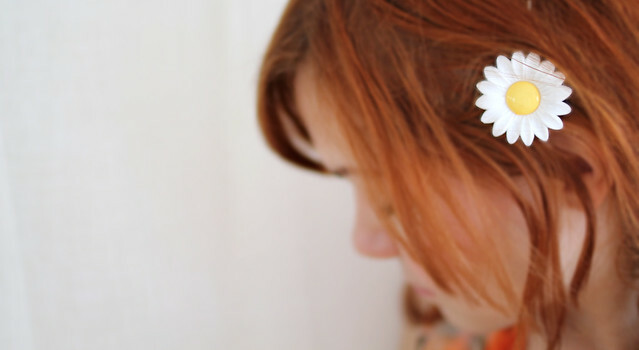 Love that daisy clip, so sweet and you match your daughter, all orangey! that devious look in the first photo is just too adorable!! Love the shoes! 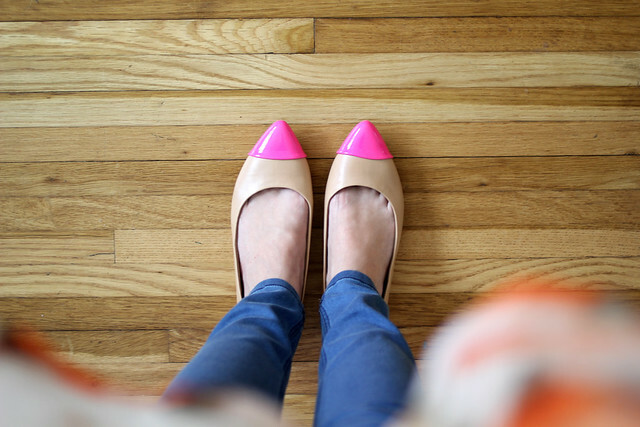 I have a similar pair from Gap in yellow, but I just want every color! Oh, this top is beautiful! That might be making its way into my closet!! 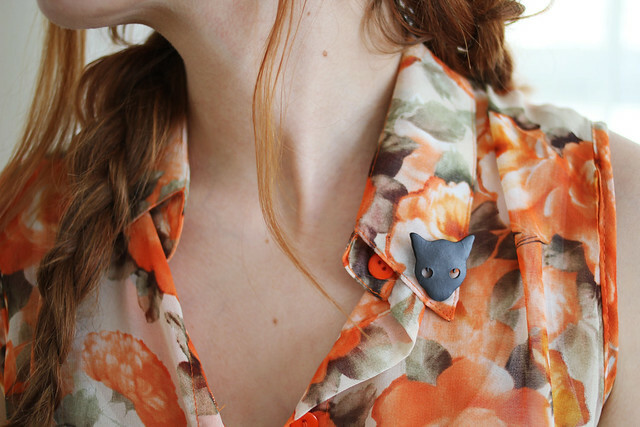 OH, I just love that blouse! Enjoy your day in it!!!!!! I LOVE YOUR HAIR LIKE THAT, AND YOUR DAUGHTER IS SO SWEET! Looks like a fun moment! I love the way you pair colors and prints! I would have never thought of this outfit! !